auctions in massachusetts | Skinner Inc. If you told me to visualize a Skinner Discovery auction, I’d think about our preview room full of antique furniture, ceramics, paintings, rugs, collectibles, and more. Then I’d see myself up at the podium at the monthly antiques auction, selling this variety of objects to bidders in the room, on the phone, and online. I definitely wouldn’t usually think of words, or maps, as a way to visualize the antiques auction process. Discovery auctions at Skinner are eclectic [link to prior blog post]. 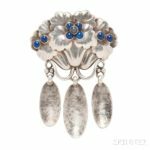 Among the antique furniture, estate jewelry, silver, and collectibles, you’ll always find a wide a variety of Victoriana: materials produced during the Victorian period (1837-1901) that reflect the design ethos of the time.